Dunster Beach Chalet Park is situated on the sheltered Blue Anchor Bay on the edge of Exmoor National Park. There are 200 hundred privately owned detached chalets occupying the site which is maintained to a very high standard. The site is child and wheelchair friendly. There is a well stocked shop with groceries, household items, newspapers, magazines and has a comprehensive selection of brochures to all local attractions. It also sells hot and cold takeaway food and cream teas on the seating area. Outside the shop is a post box and public telephone. There are five heated shower and toilet blocks, a laundry room, tennis court and a putting green. 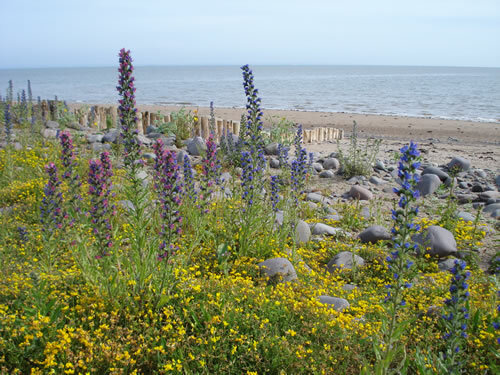 The recreational area offers the facility of driving right onto the beach which has excellent fishing in the Bristol Channel all the year round.